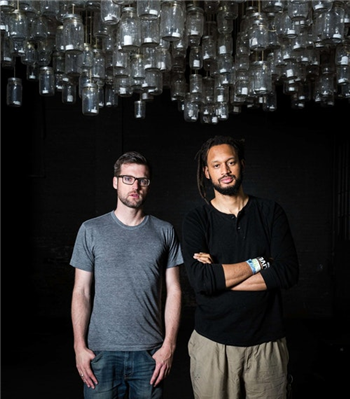 Alternative hip-hop band Flobots’ highly anticipated fourth album, NOENEMIES, will be released May 5, 2017. NOENEMIES is, without question, Flobots’ most ambitious and sophisticated statement to date - both lyrically and musically. Funded entirely by a Kickstarter campaign that raised over $80,000, the music on NOENEMIES is undeniably Flobots music, but it’s also assuredly music made by artists who have matured and expanded their horizons. Influenced by stories shared by Flobots’ friend and longtime mentor and Southern Freedom Movement historian and professor - the late Dr. Vincent Harding, and inspired by the band’s recent grassroots community work hosting workshops, classes and keynote speeches about using collective song to build social movements, NOENEMIES is a body of songs that speak to the urgency of the current moment. Each of the tracks on NOENEMIES serves as a powerful, poignant new anthem, many packed with surprises both subtle and grand. Taken as a whole, the album is enormous in breadth, enveloping and electrically charged, befitting of the finely crafted, carefully chosen words.